Last week we discussed economic forces that will affect SW Florida real estate. Much of this information was shared at the CCIM Outlook Conference in January. Dr Lawrence Yun was the keynote speaker and he was a wealth of information. 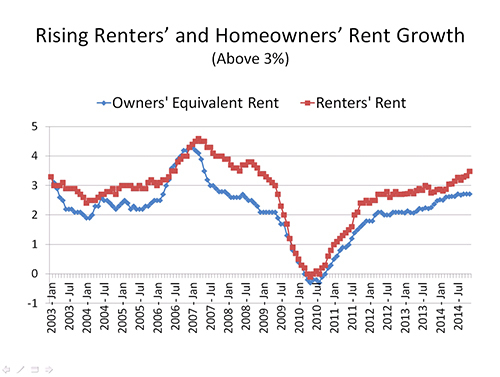 Lawrence is the chief economist at NAR (National Association of Realtors) This week we’d like to focus on renting versus buying real estate. Lawrence had some slides for the commercial brokers about how rising interest rates will eventually cause cap rates to rise, but there is a cushion so they may not have to rise immediately. Rising cap rates can negatively affect property values. Lawrence also presented data how rates are expected to rise starting this year and how that will affect mortgage rates. 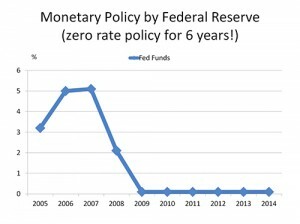 If you look at the Monetary Policy graph you’ll notice that the Fed has kept the Fed Funds rate at 0%. The Fed Funds rate is the rate banks and depository institutions lend balances to each other overnight. I won’t bore you with details on how this works, but suffice it to say 0% is pretty low. 0% also isn’t the norm and those rates are not going to hold. 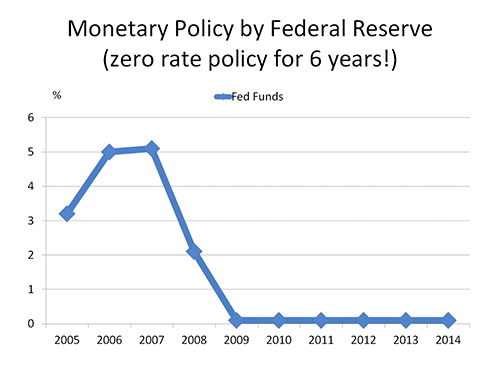 The Fed has halted its Quantitative Easing Program and the Fed Funds rate is most likely next. This will affect mortgage interest rates going forward. The 10 yr Treasury bond yield stands about 2.4% and is expected to rise to about 2.9% this year and 4.2% next year. Mortgage rate changes are closely tied to the 10 yr bond yield changes. Rents are rising rapidly now and are expected to further rise. As interest rates go up, this will put further pressure on rents to rise. Landlord’s borrowing costs go up which forces them to attempt to raise rates if they can get it. 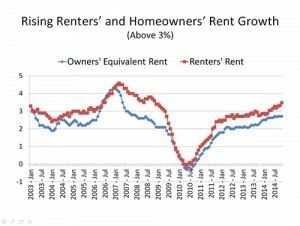 Rising rates also forces more buyers to rent as they qualify for less mortgage payment, which adds to the rental pool. This in turn helps landlords raise rents. The best time to buy is before the mortgage rates start climbing. When they do buyers finally get it and there is a buying frenzy, because nobody wants to pay higher rents or higher mortgage payments. With low inventory it’s not a good scene to be caught in a buying frenzy when rates start to rise. This puts an increase on prices, at least temporarily. When the demand subsides, you as a buyer are left with the picked over houses nobody else want and higher rates to boot. Jobs are rising in Florida. If you’re renting right now you should seriously consider your options. Last week we showed a graph how owning real estate is one of the drivers to accumulating long term wealth. Let your new home do the heavy work for you. You’ve got to live somewhere anyway, so why not pay yourself first instead of your landlord? Can you really count on Social Security and Medicare being there for you when you retire? Most people today say No! Call the Ellis Team at RE/Max Realty Group 239-489-4042 and we’ll guide you through the process. We’ll even get you pre-approved for a mortgage and show you the steps it takes to purchase. Don’t wait until your lease is up. Don’t wait for rates to rise! Your options dwindle the longer you wait. Feel free to search the MLS at www.Topagent.com Don’t hesitate to call us for help or with questions. 239-489-4042 We’re here to help you get on the path to homeownership and wealth. It’s not complicated when you have a professional in your corner guiding you every step of the way. Posted in Cape Coral Real Estate, Fort Myers Real Estate, Southwest Florida Real Estate.Tagged homeowners rent growth, owners equivalent rent, Renting Versus Buying Real Estate, Southwest Florida.